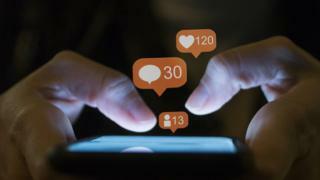 Being young, single or a jobseeker makes Facebook users more likely to have deactivated their accounts or at least considered it, a study suggests. Researchers from Lehigh University, Pennsylvania, looked at eight factors predicting whether people had left or thought about leaving Facebook. They also said that users who weighed more were less likely to have considered deactivating their accounts. The study is based on data collected from a limited sample. Researchers from the Survey Research Institute conducted phone surveys with 1,000 US households in 2015. Of the 1,000 people surveyed, 215 said they had considered deactivating their Facebook account and 169 said they had deactivated it. The findings do not take into account recent developments that may affect a person's decision to leave the platform, such as the Cambridge Analytica data scandal. The paper was presented at the 2018 CHI Conference on Human Factors in Computing Systems and published in the conference proceedings.